Vegetables are an important part of the ketogenic diet, providing you with essential micronutrients and fiber, and helping you feel full and satisfied. 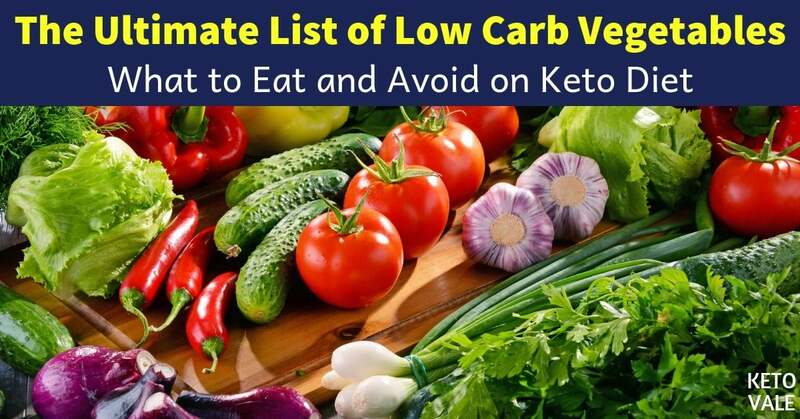 As you already know, in order to be successful with keto, you need to opt for veggies that are low in net carbs – not all vegetables are suitable for keto. Thankfully, there are plenty of low-carb veggies to choose from, and regardless of the season, you’ll always have a bunch of options. Vegetables in season will depend mostly on where you live, so if you’re on the lookout for local, organic produce, we recommend checking a calendar of what’s in season in your area. Alternatively, frozen vegetables can be a great alternative, and sometimes cheaper, too – nutritionally, they aren’t any worse than their fresh counterparts, since they’re flash frozen right after harvest, preserving the precious nutrients that are in them. 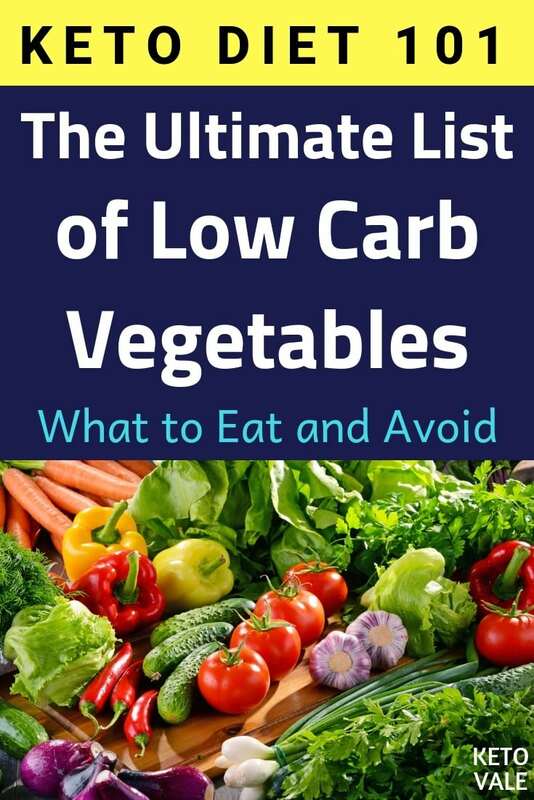 Want to know what are the best low-carb vegetables for keto? Olives are (similarly to avocados and tomatoes) fruits and not vegetables, and grow on trees in warmer climates. They are full of healthy fats, which is why they’re used to make extra virgin olive oil, praised for its health benefits and heart-protective effects. Unlike most other vegetables (or fruits), and due to their high fat content, they contain lots of vitamin E, which is an antioxidant important for your health. As olives come pickled, they contain lots of sodium, which is great for anyone following the keto diet – electrolytes, such as sodium, are super important and you shouldn’t skimp on them. A 100 g serving of pickled olives has 145 calories, only 0.5 g net carbs, 15.3 g fat and 1 g protein. While watercress might have stayed under your radar, it’s so full of essential nutrients that’s definitely worth adding to your diet. Plus, it’s very low in carbs – only 0.8 g net carbs per 100 g! Yay! Similarly to other leafy green vegetables, watercress is an excellent source of vitamins A, C and K, together with calcium and manganese. Because of that, it’s beneficial for the health of your bones, eyes, and heart. You can add watercress to salads, soups (at the end, in order to not overcook it), or make pesto out of it. You can also just use it as a side dish on its own. Watercress is super low in calories – a 100 g of it have only 11 calories, at 0.8 g net carbs, 0.1 g fat and 2.3 g protein. The main things related to bamboo shoots are weight loss, balance cholesterol levels, and improved immune system. Sounds great, right? Bamboo shoots represent the sprouts that arise with the bamboo plant. Did you know that the bamboo is one of the fastest-growing plants on Earth? Bamboo shoots can be bought as fresh or canned. Bamboo shoots are rich in proteins, carbohydrates, fiber, and minerals. On the other hand, they are really low in fat and sugars. Bamboo shoots are very popular in Asian cuisines. They are used to cook soup, stir-fry with by itself or with other vegetables. It is delicious and has a crunchy taste. A 100 gram serving of boiled bamboo shoots has 12 calories, 0.9 g net carbs (1.9 g carbohydrates – 1 g fiber), 0.2 g of fat, and 1.5 grams of protein. Collard greens are highly nutritional and beneficial green leafy vegetables. They grow in Brazil, Portugal, Africa, the southern part of U.S., Montenegro, Spain, India, and Croatia. Collard greens are unique because they are rich with a compound called glucosinolates that contain sulfur and indole-3-carbinol that is known to reduce the risk of breast cancer. Collard greens are rich in vitamin K and vitamin A as well. Glutathione is considered to be one of the most important components of collard greens. Glutathione is made of 3 amino acids that have major roles in cleaning and detoxifying the liver. Collard greens nutrition values for 100g are 32 calories, 1 g net carbs (5 g carbohydrates – 4 g fiber), 3 protein, and 0.6 g fat. Bok choy, also known as pak choi or pok choi, is a type of cabbage originating from China, which has enjoyed a growing popularity in the recent years. Baby bok choy has also become now more available, and can be enjoyed raw, steamed, sautéed, or boiled. When choosing bok choy, opt for a fresh-looking one, that doesn’t have wilted or damaged leaves. Regarding the nutritional benefits of bok choy, they’re pretty impressive – it’s a great source of vitamin A, C and K, and provides a good amount of calcium – 105 mg in a 100 g of raw bok choy, or 11% of the daily recommended dose. Additionally, it contains lots of folate (66 mcg), which is thought to have a role in the prevention of cancer. A 100 g serving of raw bok choy contains only 13 calories, 1.1 g net carbs, 0.2 g fat and 1.5 g protein. Romaine lettuce (often just referred to as lettuce) is an excellent base for keto salads – toss in a protein source (for example, cooked chicken or tuna), add a source of healthy fats, such as 2/3 tablespoon of extra virgin olive oil, sprinkle some vinegar on it (apple cider vinegar is a great choice), and boom, you have a healthy, filling meal, ready in less than 5 minutes. Optionally, toss some nuts or add cherry tomatoes or avocado (or all of these). Alternatively, you can use lettuce leaves as wraps for sandwiches – very handy if you need to be on the go during your usual mealtimes. Lettuce is an excellent source of folate (vitamin B9), as well as of vitamins K and A, plus it’s very low in calories, making it an excellent addition to your diet, if your goal is weight loss. A hundred grams of lettuce contain only 17 calories. Fat is at 0.3 g, net carbs come at 1.2 g, and protein at 1.2 g.
Spinach is hugely popular among the keto community, and for a good reason – it’s very low in net carbs (1.4 g per 100 g) and is full of important nutrients, such as magnesium, potassium, iron (albeit non-heme iron, which is not as readily absorbed as the heme iron found in animal products), copper, vitamins B2, B6, E and C.
Additionally, it’s an excellent source of vitamin K, which is very important for the proper functioning of your heart and for blood clotting – 100 g spinach contain 483 mg of it (or more than 600% of the daily dose). A 100 g serving contains the following – 23 calories, 1.4 g net carbs, 0.4 g fat and 2.9 g protein. Mustard greens are actually the leaves of the mustard plant – Brassica juncea. Mustard greens are used as a condiment in cooking and in oil production. The plant was originally grown in India, but now is available all over the world. Mustard greens are great sources of vitamins and minerals, such as vitamin A, vitamin B, vitamin C, vitamin K, magnesium, iron, potassium, calcium, and copper.They are high in dietary fibers that help to control the cholesterol levels. One cup of mustard greens contains 177% of the recommended daily intake of vitamin A, and vitamin A is really important for the eye health protection. Mustard greens nutritional values per 100 g are 27 calories, 1.5 g net carbs (4.7 g carbohydrates – 3.2 g fiber), 2.9 g protein, and 0.4 g total fat. As you probably already know, avocado is actually not a vegetable but a fruit, although it’s often used as a vegetable, due to its neutral, non-sweet taste. It can be added to salads, dips, smoothies, lots of different dishes, or enjoyed as a snack on its own. Because of its excellent nutritional profile – it has a high content of healthy fats and is an excellent source of potassium, while being very low in net carbs – it’s a great choice for keto. It contains lots of oleic acid, which has anti-inflammatory properties, and might even help prevent cancer. Avocados are also an excellent source of vitamin B5, B6, folate, and vitamin K.
Keep in mind that avocados are a seasonal fruit (in season between March and July in California), and their year-round availability is the result of the increased demand for them, but actually has lots of negative social and environmental effects, especially in Mexico, where most of the ones that are exported to the US are produced. If you’re concerned about your ecological footprint, we recommend enjoying avocados when they’re in season, and opting for domestic produce whenever possible. A 100 g serving (which, for a medium-sized avocado is approximately half of it) has the following macros: 160 calories, 14.7 g fat, 1.8 g net carbs and 2 g of protein. Celery is one of the most adaptable vegetables found in the garden. Whether used in soups or topped with peanut butter, it’s an excellent source of antioxidants. The reason why it’s so popular among dieters is that is really low in calories – it contains 16 calories per one cup serving. Another very interesting fact about celery is the number of vitamins and minerals that it offers. It contains potassium, copper, phosphorus, magnesium, calcium, pantothenic acid, vitamin C, vitamin K, vitamin B6, and riboflavin. A 100g serving of celery contains 16 calories, 1.8 g net carbs (3.4 g carbohydrates – 1.6 g fiber), 0.2 g fat and 0.7 g protein. Asparagus is one of these vegetables that is often neglected, but it truly is a nutritional powerhouse. It contains a number of important vitamins and minerals, such as iron, copper, vitamins A, C and folate, among others. Additionally, it contains asparagine, which is a natural diuretic, that will help you flush out excess water (keto already has the same effect, so by combining these you will be keeping your kidneys happy, especially if you’re prone to urinary tract infections). 100 grams of asparagus contain 20 calories, 1.9 g net carbs, 0.1 g fat and 2.2 protein. We must admit, when we see radishes in the markets, they don’t seem very attractive to us. But, they actually deserve a second chance because of their health benefits. Radishes come in different colors – white, red, purple or black. They can be eaten raw or cooked, and their extract can be used as oil. A one cup serving contains around 30% of the recommended daily intake of vitamin C.
Vitamin C is an antioxidant and plays a great role in cellular damages. Some of the most important vitamins and minerals found in radishes are potassium, magnesium, calcium, vitamin C, vitamin B6, and riboflavin. The nutritional content in a serving size of 100 grams contains 16 calories, 1.8 g net carbs (3.4 g carbohydrates – 1.6 g fiber), 0.7 grams protein, and 0.1 grams fat. Arugula (also known as rocket salad) has a more pronounced taste than other similar salad greens (such as romaine lettuce), and as such is often mixed with them for a more balanced overall taste. It’s rich in folate, calcium and vitamin A, making it a beneficial addition to your diet as far as your eyes, kidneys, bones and heart. Additionally, arugula is thought to help prevent & delay cancer, as it contains sulforaphane, a compound containing sulphur that is currently being studied by researchers for its cancer-fighting properties. A hundred grams of arugula contain 25 calories, 2.1 g net carbs, 0.7 g fat and 2.6 g protein. Swiss chard is a green leafy vegetable that has a few varieties – white-stemmed, red-stemmed, and rainbow chard, and despite its name, it’s not Swiss, but Italian (and used in other regional variations of the Mediterranean cuisine, such as Croatian, for example). It’s usually sautéed or steamed, but you can also eat it raw in salads, especially if you manage to find younger leaves that are crunchier and more delicate. Unfortunately Swiss chard doesn’t keep too well (3 days is usually the maximum it can go before wilting), so make sure to eat it while it’s still fresh. Nutritionally, it’s pretty awesome, too – it contains loads of vitamin K, A and C, plus lots of magnesium, potassium, iron and manganese. A 100 g serving of Swiss chard contains the following: 19 calories, 2.1 net carbs, 0.2 g fat and 1.8 g protein. As they are rather neutral in taste, zucchini can be used in lots of different recipes, such as frittatas, omelettes, soups, and more. It’s one of those low carb high fiber foods that you should eat regularly on keto. And, maybe surprisingly to some, they can even be eaten raw – have you already tried that? They’re delightfully crunchy and fresh. There are different varieties of zucchini, such as dark or light green, yellow, or even orange. Zucchini are high in vitamin C, manganese and potassium, while being low in net carbs and calories. Additionally, they contain a number of inflammation-fighting antioxidants, so they make a neat addition to anyone’s diet. A 100 g serving of zucchini comes at only 16 calories, 2.2 g net carbs, 0.2 g fat, and 1.2 g protein. A fun fact – mushrooms aren’t actually vegetables. Actually, they aren’t even plants. Instead, they’re fungi, which is a separate kingdom. They’re commonly considered as vegetables, though, which is also why we’re adding them to this list. Super tasty in omelettes, frittatas and salads, mushrooms are also rather low in net carbs (2.3 g net carbs for hundred grams of white mushrooms). They’re full of antioxidants and have a good potassium content, which is excellent news for people struggling with getting enough electrolytes in. Additionally, mushrooms are one of the few dietary sources of vitamin D, so don’t skip them in the tough winter months. A 100 g serving of raw white mushrooms contains 22 calories, 2.3 g net carbs, 0.3 g fat and 3.1 g protein. The mild, soft texture of eggplant is loved by many. Because of its special, mushy texture, it can be used in plenty of recipes for dips and sauces, but also enjoyed as a base ingredient for stuffed eggplants or eggplant chips. They come in plenty of different sizes, shapes and colours, the most common type across Europe and North America being the dark purple eggplant. Some people are sensitive to nightshades (such as eggplants and tomatoes) but if you’re aren’t one of them, there’s no reason to avoid them. Eggplants contain a good amount of potassium, manganese and folate. A 100 g of eggplants contains 24 calories, 2.3 g net carbs, 0.2 g fat, and 1 g protein. Summer squashes are the cousins of winter squashes. They have different sizes, shapes, and colors. In the places where the weather is warmer than the usual, summer squashes are available all year long. Summer squash is rich in vitamin C, vitamin B6, and fiber. It can be cooked in several ways, including baked, steamed or fried. Some of the most popular varieties of summer squashes are zucchini, patty pan, and crookneck. Zucchini is the most popular type of summer squash. It has green colored skin covered with an off-white flesh. A serving of around 100g of summer squash contains 16 calories, 2.3 g net carbs (3.4 g carbohydrates – 1.1 g fiber), 0.2 grams fat, and 1.2 g protein. Tomato, similarly to avocado, is actually a fruit, and is widely consumed across many different cultures. Although a little bit higher in carbs than other ingredients listed here (2.7 g net carbs per 100 g), it’s definitely not too difficult to make place for it in your daily macros, if you want to add some cherry tomatoes to your salads. Tomatoes are a good source of potassium, together with a number of different antioxidants and vitamin B7 (biotin). A 100 g serving of red tomatoes comes at 18 calories, 2.7 g net carbs, 0.2 g fat, and 0.9 g protein. Cauliflower is the star of the keto-friendly vegetables, mostly because of its versatility. Do you sometimes find yourself longing for rice and rice-based dishes? You can use cauliflower as an amazing low-carb rice substitute! Want some mashed potato? Try mashed cauliflower instead! Cauliflower is excellent for your digestive health, as it contains lots of dietary fiber – 2.5 g per 100 g. Additionally, it comes packed with vitamin C, folate, vitamin K & B6, as well as potassium and manganese. Cauliflower contains sulforaphane, a compound currently studied for its effects on cancer, destroying already damaged cells. A 100 g serving of cauliflower has 25 calories, 3 g net carbs (5 g carbohydrates – 2 g fiber), 0.3 g fat and 1.9 g protein. In need for some crunchiness? Slice some cucumber and add it to your salad, or just enjoy it as a snack on its own. Due to their high water content (96%), cucumbers are very low in calories, while at the same time being low in net carbs, too. For a maximum nutritional benefit, cucumbers should be eaten unpeeled (organic is somewhat better when it comes to unpeeled fruits and vegetables, but ultimately, buy what you can afford). Cucumbers are rich in vitamin K, potassium and antioxidants, making them a great addition to anyone’s diet. A 100 g serving of unpeeled cucumber contains 15 calories, 3.1 g net carbs (3.6 g carbohydrates – 0.5 g fiber), 0.1 g fat and 0.7 g protein. Cabbage (red, green and white) can be eaten raw as a salad or as a side dish, or marinated (think kimchi or sauerkraut), or quickly sautéed with other vegetables. Plus, you can make mouth-watering low-carb slaws with cabbage. All in all, a very versatile vegetable, full of antioxidants and other important micronutrients, such as vitamin C, K and folate, cabbage is an excellent vegetable for the long autumn and winter months. A 100 g serving of cabbage contains 25 calories, 3.5 g net carbs (6 g carbohydrates – 2.5 g fiber), 0.1 g fat and 1.3 g protein. Although some people prefer avoiding beans altogether when doing keto, green beans are on the low-carb end of beans and can be enjoyed from time to time, considering that you make place for them in your daily carb allowance. Green beans contain plenty of fiber (2.7 g per 100 g raw green beans), which can help lower your LDL (the “bad”) cholesterol and blood pressure, together with improving your digestion. Additionally, green beans are a good source of vitamins C, A and K, as well as of minerals, such as calcium and potassium. A 100 g serving of raw green beans comes at 31 calories, 3.6 g net carbs (7 g carbohydrates – 3.4 g fiber), 0.1 g fat and 1.8 g protein. Okra, or also known as gumbo and “lady’s finger”, is a green plant that is most highly valued because of its seed-pods. This vegetable can be used as a pickled vegetable or put as an ingredient in soups and side dishes, or it can also be extracted and used as a vegetable oil. Okra may not be the typical type of vegetable that you will find in the garden, but it is highly rich in vitamins and minerals, including vitamin A, vitamin B, vitamin C, vitamin K, calcium, iron, the potassium, and zinc. There are many health benefits of Okra. The Mucilaginous fiber found in Okra helps in the better movement of the food throughout the digestive tract. Also, it helps with the high cholesterol in the body and controls the sugar absorption into the body. The nutritional values per serving size of 100 g are 33 calories, 3.8 g net carbs (7 g carbohydrates – 3.2 g fiber), 1.9 g protein, and 0.2 g fat. Mainly used in Mexican cuisine, Jalapeno Peppers are spicy chili peppers that come in two colors – green and red. They are extremely low in calories and high in vitamins, minerals, fiber, and antioxidants. Only one small raw jalapeno pepper contains 4 calories, 10% of the required daily intake of vitamin C and 4% of the required daily intake of vitamin B6. Like every other vegetable, jalapeno peppers are rich in fiber and one pepper contains 2% of the required daily intake of fiber. This type of pepper contains capsaicin, a compound with gives the spice taste. The nutritional values per serving of 100 grams are 28 calories, 4.2 g net carbs (7 g carbohydrates – 2.8 g fiber), 0.9 g of protein, and 0.4 g fat. We cannot mention cauliflower without mentioning broccoli, its cousin praised for its numerous health benefits. It has anti-inflammatory properties, and might even protect against some types of cancer, such as breast, prostate and gastric cancer. Broccoli is very easy to overcook, so make sure you don’t boil or steam it for too long – 5 to 8 minutes (5 for a crunchier texture and 8 for a softer one) are enough to make the perfect broccoli. You can then sprinkle some olive oil on top of it, add a dash of salt and pepper, and have the perfect side dish. A 100 g of broccoli contains 34 calories, 4.4 g net carbs (7 g carbohydrates – 2.6 g fiber), 0.4 g fat and 2.8 g protein. Turnip is a really interesting root vegetable. It has a round, apple-like shape with a white bottom and white-purple brush around the top. Their taste is like a mix from a carrot and potato. Turnips can be consumed either raw in salads or cooked with other vegetables. Turnip is a great source of vitamin C that is antioxidant and has an anti-inflammatory function. Also, turnips are high in insoluble fiber, minerals including magnesium, phosphorus, and calcium. The folic acid contained in turnips has a role in the reproduction of cells to the fetus. A serving of 100 grams of turnip contains 28 calories, 4.2 g net carbs (6 g carbohydrates – 1.8 g fiber), 0.9 g of protein, and 0.1 gram fat. Kale is a vegetable and a member of the cabbage family. There are several types of kale, and the leaves are colored either green or purple. Kale is rich with vitamins and minerals, such as Vitamin A, vitamin K, vitamin C, vitamin B6, calcium, potassium, and magnesium. Kale is very low in calories and contains very little fat. The highest percentage of the fat is the alpha linoleic-acid, a type of omega-3 fatty acid. Like any other plant with green leaves, there are plenty of powerful antioxidants found in kale, including quercetin and kaempferol. Also, kale is especially high in vitamin C and it contains more vitamin C compared to the orange. The nutritional values per 100 grams of kale are 49 calories, 5 g net carbs (9 g carbohydrates – 4 g fiber), 1 g of fat, and 4 g of protein. In case you were wondering – yes, they were first cultivated in Brussels and that is how they got the name. Brussels Sprouts are representing the Cruciferae family, together with broccoli, kale, and collard greens. One of the most interesting things about them is that they are very low in fat and calories, and on the other hand the Brussels Sprouts are rich in proteins. Vitamin A, folacin, calcium and potassium are also present. And the best part is yet to come! Brussels Sprouts are high in vitamin C.
Only one-cup serving will provide your daily needed dosage of Vitamin C and Vitamin K. This boosts the immune system and lowers the chance of chronic disease. A 100 g serving contains 43 calories, 5.2 g net carbs (9 g carbohydrates – 3.8 g fiber), 0.3 g fat, and 3.4 g protein. Bell peppers are also called sweet peppers, can be eaten raw or cooked. They are in close relation to chili peppers, tomatoes and breadfruit – they all come from Central and South America. Similar to their relatives, bell peppers are low in calories and rich in vitamins and antioxidants, especially in vitamin C. Bell peppers are available in 4 colors – green, red, orange and yellow. Bell peppers have a high percentage of water – around 92%. Most of the sugars contained in bell peppers are glucose and fructose. The main nutrients available per serving of 100 g of raw peppers contain 27 calories, 5.4 g net carbs (6.3 g carbohydrates – 0.9 g fiber), 1 g protein and 0.2 g fat. In the last years, the artichokes have become more popular because of their benefits of the heart health. Artichoke is a vegetable that was used first in the ancient Greek. Some of the most known health benefits of the artichokes are – the ability to boost the immune system by reducing a dangerous body and prevent information, their great ability to prevent serious illnesses related to the heart and their nourishing effect on the liver. Artichokes are among the vegetables that have the highest amount of antioxidants. A serving size of 100 g of artichoke contains 47 calories, 6 g net carbs (11 g carbohydrates – 5 g fiber), 3.3 g protein, and 0.15 g fat. Pumpkin is one of the most used vegetables during the Halloween, right? Well, it is also one of the widely grown vegetables in the world. It is rich in antioxidants, vitamins, and minerals. It contains a high amount of vitamin A, vitamin C, vitamin E, and flavonoid polyphenolic antioxidants. Pumpkins are really low in calories. They are one of the most recommended foods for people that are having cholesterol problems or want to lose weight. 100 grams pumpkin provides 240% of the recommended daily intake of vitamin A. The nutritional value of 100 g provides 26 calories, 6.5 g net carbs (7 g carbohydrates – 0.5 g fiber), 1 gram protein, and 0.1 g fat. Some people avoid eating carrots on a strict keto plan. Although carrots are not super low-carb, with some planning you could still fit some in your daily macros. They contain a lot of carotene, which is eye-protective and also an important antioxidant that improves the health of your immune system. Carrots are also protective against some types of cancer, including stomach and colon cancer. Carrots can be eaten raw or incorporated into a myriad of different dishes, and are cherished for their crunchiness. Don’t go overboard with them, as they’re higher in carbs – instead, opt for eating them around your workouts, for example, in order to immediately use the carbs. A 100 g serving of carrots contains 41 calories, 7.2 g net carbs (10 g carbohydrates – 2.8 g fiber), 0.2 g fat and 0.9 g protein. These herbs can be used in fresh, dried, and powder forms. Some of these root vegetables should be used in a very small amount because of the high carb content. You can use the fresh version or the powdered form. Ah, garlic! Loved or hated, garlic leaves few people indifferent. For those of you who love it, we have good news – garlic is super healthy and due to its high antioxidant content, it’s anti-inflammatory and acts as a powerful immunity booster, and can even be used to fight the common cold. Moreover, it can lower LDL (the “bad”) cholesterol with up to 10%. Pretty awesome, right? Although garlic is actually rather high in net carbs if you look at a 100 g of it, we’ve included it, as you’re likely to be using only a small amount, added to different recipes. A clove of garlic has 4.5 calories, 0.9 g net carbs, no fat and 0.2 g protein. Scallions are closely related to onions and shallots. They are known for being low in calories. Scallion contains numerous antioxidants, fiber, and minerals. Scallions are very rich in vitamins, including vitamin A, vitamin K, and B-complex. The level of vitamin K in the scallion has a great role in the treatment of Alzheimer’s disease. A 100 g serving size contains 32 calories, 4.4 g net carbs (7 g carbohydrates – 2.6 g fiber), 0.2 g fat, and 1.8 g protein. Onion is not really one of the most favorite vegetables for most of the people, especially to the children. It makes people cry, but actually, there isn’t anything to cry for because onions are super healthy. They are rich in vitamin C, flavonoids, phytochemical and sulfuric compounds. Phytochemicals are triggering healthy reactions within the human body. According to the latest studies, flavonoids reduce the risk of Parkinson’s disease and cardiovascular diseases. There are three types of onions – white, red and green. All of the three types have antiviral, antibacterial and antioxidant properties. Red onions are mainly used raw or in salads and sandwiches. The white ones have a milder flavor. The colored ones (green and red) contain more antioxidants compared to the white one. 100 grams of onions contain 40 calories, 7.3 g net carbs (9 g carb – 1.7 grams fiber), 1.1 g of protein, and 0.1 g fat. Leeks are members of the onion family. They have a sweet taste and can be consumed raw in salads or cooked in different ways. Leeks provide a unique combination of flavonoids and sulfur-containing nutrients. With this, they provide great cardiovascular support. They are rich in vitamin K, manganese, copper, vitamin B6, vitamin C, and iron. The nutritional values of 100 grams of the leek are 61 calories, 12.2 g net carbs (14 g carbs – 1.8 g fiber), 1.5 g protein, and 0.30 g fat. When cooking, you only need a few small slices for favors. Ginger is one of the most used and one of the healthiest spices in the world. It has a super mix of powerful ingredients that have lots of benefits to the human body. Ginger is rich in gingerol that has anti-inflammatory and antioxidant properties. Ginger has a significant role in preventing nausea and seasickness. It also lowers the blood sugar level and helps to people with diabetes 2. It reduces the level of the LDL cholesterol and the blood triglyceride levels. A 100 g serving of ginger has 80 calories, 16 g net carbs (18 g carbohydrates – 2 g fiber), 0.8 g fats, and 1.8 g protein. When cooking, you only need 1-2 tablespoons. Many studies show that turmeric has many health benefits and it is highly effective for the body and brain. It has been used in India for thousands of years in the past as a medicinal herb. It contains curcumin – an anti-inflammatory and antioxidant substance. One of the major roles of curcumin is to boost the level of brain hormone which is responsible for the growth of new neurons. 100g of turmeric contains 354 calories, 44 g net carbs (65 g carbohydrate – 21 g fiber), 8 g protein, and 10 g fat. When cooking, you only need 1/2 tsp to 1 tbsp. Although the keto diet is often perceived as super high in fat, that’s not entirely true and depends a lot on your specific goals. Check this article How Much Fat Should You Eat On Keto for full explanation. In fact, a well-formulated keto diet plan will certainly include a lot on salads and veggie sides, too, besides meat, fish, eggs and dairy. And, as you can see, there’s plenty of choice for every season – keto can, and should, contain lots of vegetables too, so if you plan everything well, there’s absolutely no reason to limit your intake of veggies. Above you saw our selection of the best vegetables for keto, along with some tips on how to cook them – what are your favourite veggies? How do you cook them? Do you have any special cooking tips or tricks that we haven’t mentioned? Enjoy this list? Save for later reference!